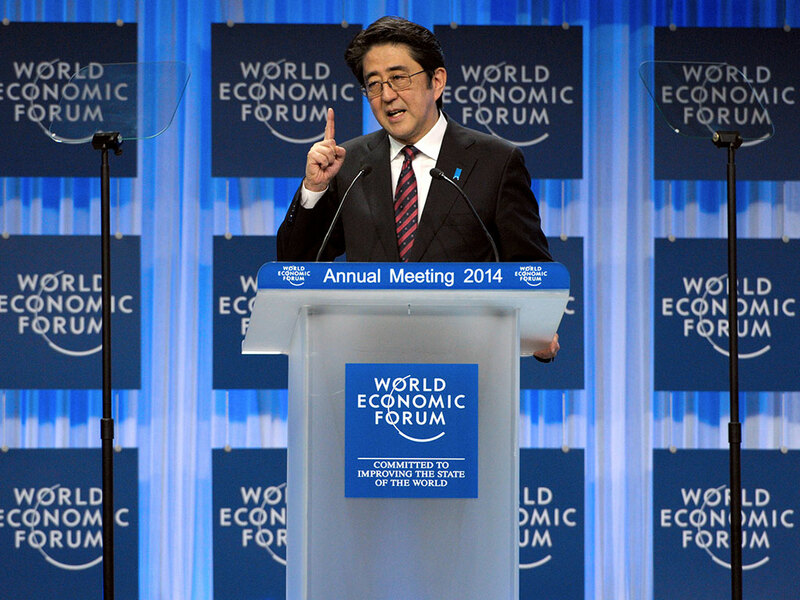 Japanese Prime Minister Shinzo Abe has discussed his country’s fraught relationship with China during a moderated discussion with journalists at the World Economic Forum meeting in Davos. Abe also referred to a “new dawn” rising over Japan, speaking about his “Abenomics”. He alluded to the upcoming complete liberalisation of the Japanese electricity sector and of labour market reforms that are in the pipeline. He also suggested that corporate tax cuts are imminent. When FT correspondent Gideon Rachman pressed Abe on the risks associated with his economic policy, the prime minister answered with a golfing metaphor. Abe was also keen to emphasise that much of his plans involve attracting significantly more women into the workplace than ever before. However, the greater focus of the talk was on Japan’s relationship with China and Abe refused to rule out any conflict arising in the near future.